The Outing Club is gearing up for their winter events and trips led by Jess Gerber Dolan, Sophie Ackerman, and Joe Woynar. To be a part of the Outing Club, you do not need a long-standing commitment or any prior experience, just a great love for the outdoors. Anyone can join them for their upcoming trips including a day hike; a short distance and overnight hike; and a long distance and overnight hike. 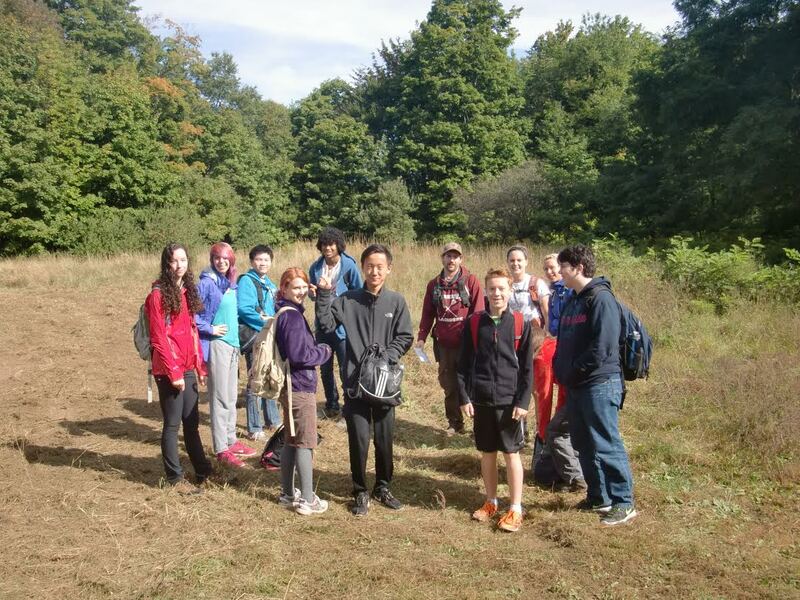 The full experience includes taking two classes offered after school at ARHS, Survival Living and Outdoor Leadership. Survival Living meets on Tuesdays and Thursdays after school, and students learn key aspects of living by themselves in the outdoors, such as how to build a fire and shelter. “If you find yourself in a bad situation where you’re in the wilderness, you are going to need to understand the basic skills of survival,” Woynar said. “It’s one thing to know you need to build a fire, but it’s another to know how to do it.” Students in this class also have three trips in the winter, including a three-day solo trip, a partner trip, and a group overnight trip. Last year, the Outing Club summited Mount Lafayette in the winter and Mount Monadnock in the fall. Most of their meetings are pre-trip meetings, and take place in Mr. Kropf’s room. The meetings are laid back and relaxed, while the students enjoy a snack and discuss ideas. “It’s great when we have more people, because then we can get more ideas for our trips,” Woynar said. Their goal this year is to fundraise for equipment because students tend to be apprehensive about joining, if they do not have access to essential tools for the outdoors. Meetings will be mentioned in the morning announcements, and you can swing by room 225 to talk to Mr. Kropf. The club members hope to see you at their next meeting!